We have finally made it to Mexico! We have been welcomed by a whole lot of heat, upset stomachs and torrential downpours.... But so far it has been pretty awesome! We will cover about 1,500 km on this leg, which will take us through mountains and along the coastlines of the Pacifc Ocean and th Sea of Cortes. 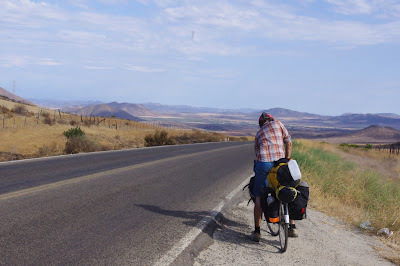 It turns out that this is not the 'best' time to cycle the baja...becuase it is so bloody hot....but we are up for the challenge (we hope...)!